You may not care much about Premier John Horgan’s government’s “first update on BC budget” — like finance minister Carole James herself. You may also be thinking, like us, that the intriguing new NDP-Green alliance in BC provincial politics still looks too insecure to be of much broader Canadian significance. 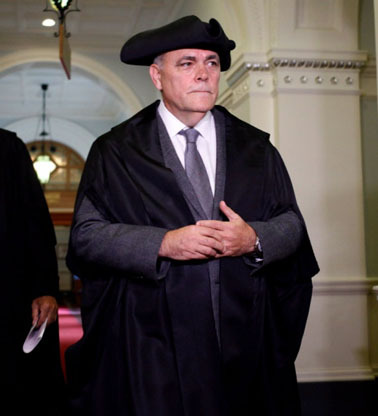 What some of we BC politics novices back east (well … north of the Great Lakes) are still wondering is who is former Liberal MLA Darryl Plecas (who is now Speaker of the Legislative Assembly, but also a victim [?] of “BC Liberals remove Darryl Plecas from party”)? And what does his action mean for the thesis that Canada’s Pacific Province is moving towards the Australian model of parliamentary democratic political party development — where, after various twists and turns, the Liberals wind up as the effective conservative party on the right? 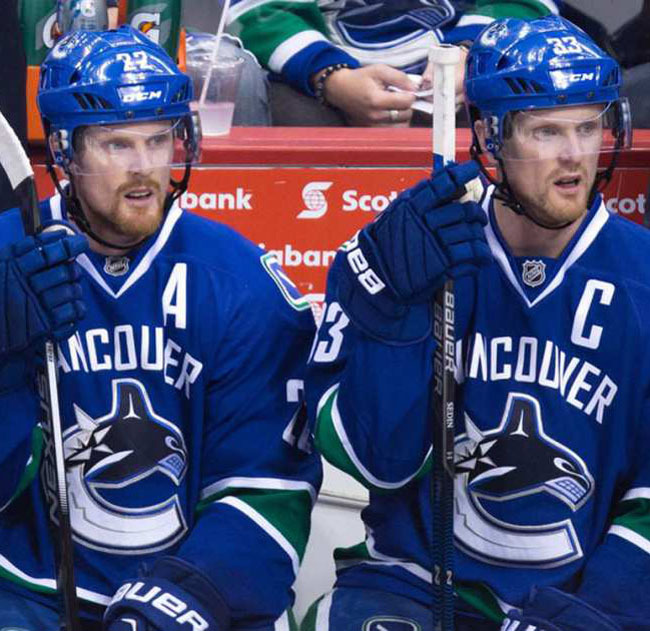 Vancouver Canucks stars (and identical twins from Sweden) Henrik and Daniel Sedin, getting ready for their 16th NHL season, won’t play anywhere else but Vancouver. 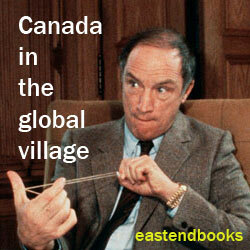 Canada might already be said to have had a few brushes with this Australian model in provincial politics. The leading case would seem to be Saskatchewan from, say, 1938 (when a 43-year-old John Diefenbaker led the provincial Conservatives to 0 seats in the Regina legislature, with less than 12% of the popular vote) to 1971 (when Ross Thatcher’s Liberals lost to a resurgent “agrarian socialist” Saskatchewan NDP under Allan Blakeney — and Mr. Thatcher himself died just 18 days after the election). British Columbia itself, some would say, began to move to the Australian model almost definitively at some point after the 1979 BC election (the BC Liberal “party’s lowest point” — since Harlan Carey Brewster “was one of only two Liberals elected to the legislature” in 1909). Here as in Saskatchewan the rise of the old CCF ancestor of today’s NDP in the 1930s did finally put rightward pressures on the 1933-41 BC Liberal government of Premier Duff Patullo, who ran “on the slogan of ‘socialized capitalism’” in 1937. 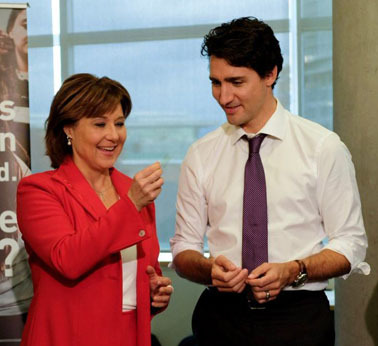 Yet the most recent Campbell and Clark BC Liberal governments (2001–2017) have both managed to borrow some of the (itself shaky enough) progressive centre left patina cultivated so assiduously by the federal Liberal Party of Canada. 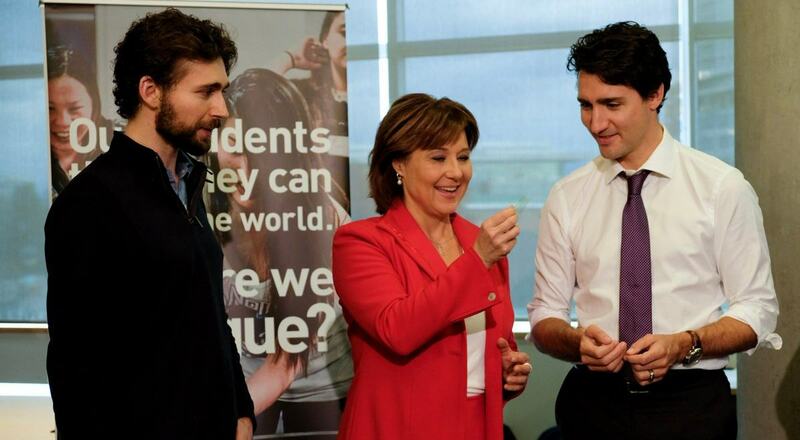 Most recently Premier Christy Clark and Prime Minister Justin Trudeau looked so much like two peas in a pod in photographs, that it was all too easy to (how foolishly?) imagine they might have vaguely similar political and economic philosophies as well. From 1952 to 1991 the effective conservative party on the right in British Columbia was Social Credit. The Campbell Liberals seemed refreshingly different from all that. And they finally won 77 of 79 seats in the legislature in 2001! Returning to the late summer/early fall of 2017 a slender Wikipedia article on Darryl Plecas along with Mike Smyth’s September 9 report on “Darryl Plecas: Why I took the Speaker’s job” cast some light on the new Speaker of the BC legislature — and just what his latest career moves might mean for the longer future of the BC Liberals. In Ontario we are also bound to wonder anew just what BC’s new “governing NDP-Green alliance” with its “expanded, three-seat majority in the legislature” might mean for our own provincial politics.